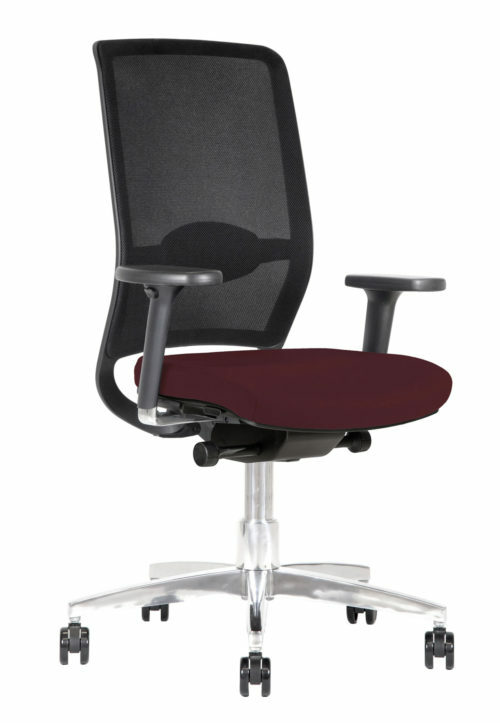 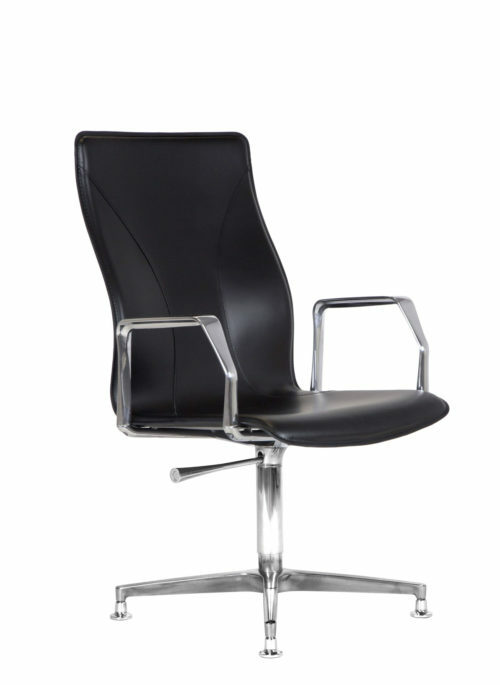 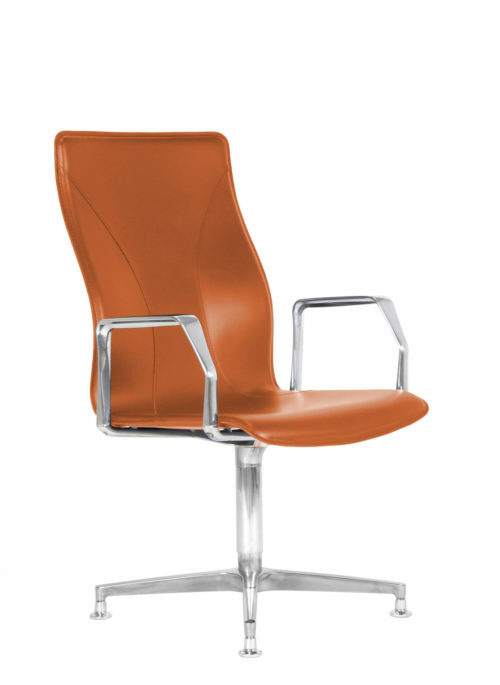 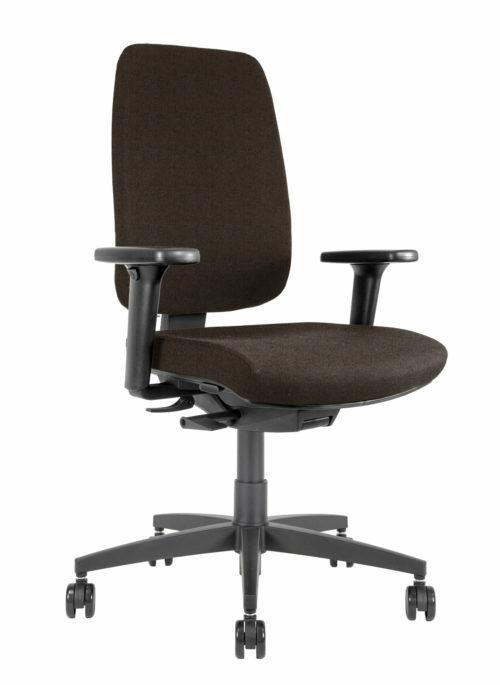 Swivel chair designed for a meeting room or as a guest chair in professional environments. 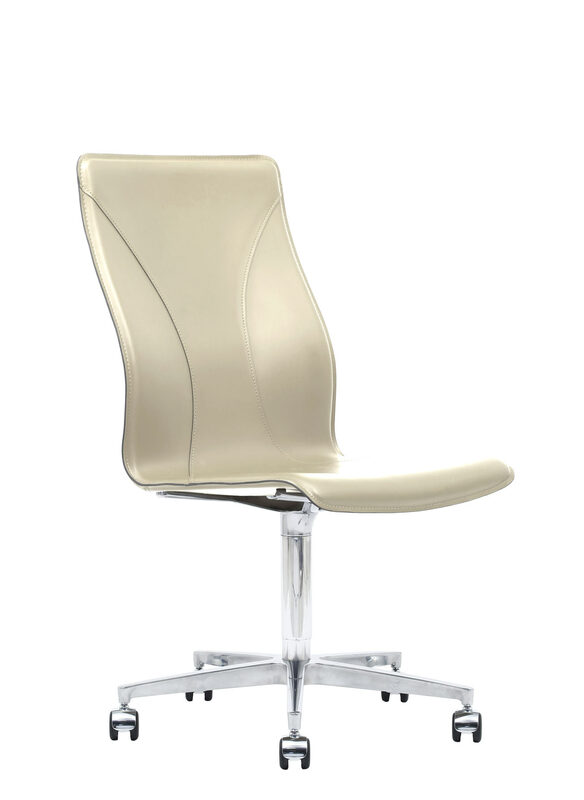 The medium height (580 mm) shell in shaped beechwood is padded and covered with hand-stitched leather. 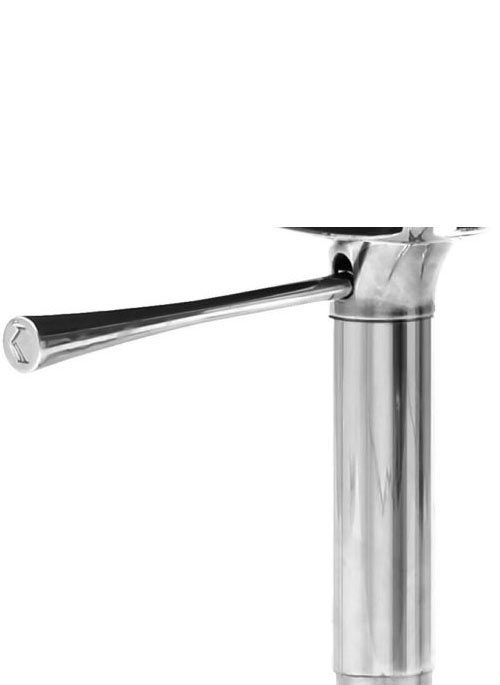 The base is in polished aluminum with five spokes, diameter: 640 mm. 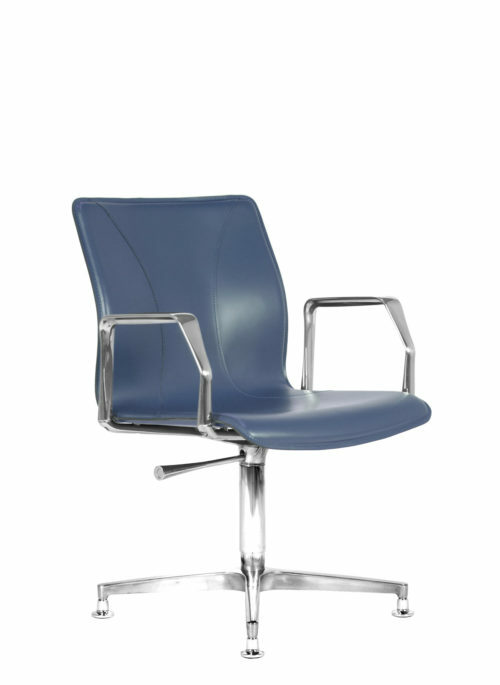 The 50 mm diameter casters are in polypropylene with polished aluminum cover, free or braked in case of load absence, available for hard or soft floors.